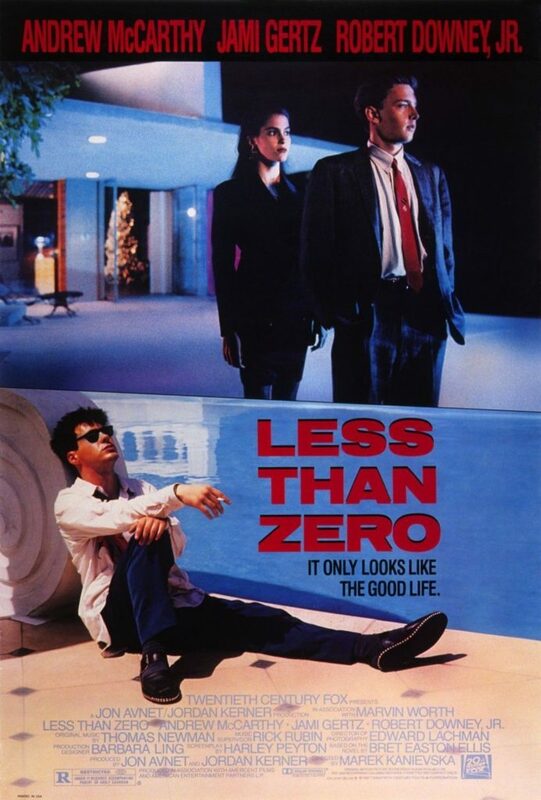 079 – Less Than Zero | All Eighties Movies. All The Time! It’s the 1980’s. What better time to be an overindulged party animal int e City of Angels? Join Gidgit and Angry as they rewatch the classic that foretold Robert Downey Jr’s future. Less Than Zero! This entry was posted in Podcasts and tagged drama. Bookmark the permalink. Such a super excellent pod cast Angry and Gidgit. My brother was drug addicted. You handled this movie really well. I would say they changed the character of Clay for the film so we could relate to him more. In the book, he really didn’t care about anyone. Or much of anything. He was just an observer without a conscience to a lot of sick behavior.